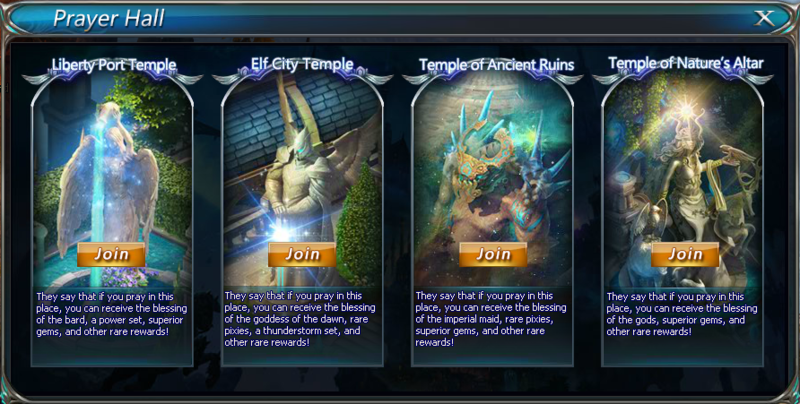 The Sacred Pond allows to receive different valuable presents, in each temple there are special rewards. In each temple it's possible to make 1, 10, 20 or 100 prayers for time. Also each player has an opportunity to pray for free, but only once and at one temple. 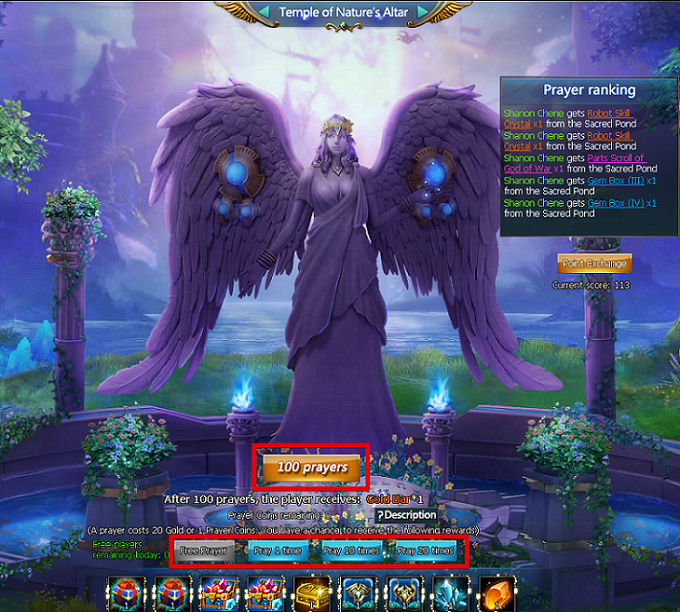 For 1 prayer you need 1 Prayer Coin, which can be received during special events, or 20 gold. The more prayers you make, the higher your chance to win valuable prizes.